Mosquitoes are so tiny, how can they cause so much trouble? Mosquitoes can ruin an outdoor BBQ or a day at the beach, or even just relaxing time spent outside your house. Not only that, but mosquitoes carry and can spread dangerous or even fatal diseases, including West Nile disease, Yellow Fever, Chikungunya, Dengue fever, malaria and even the relatively new breakouts of the Zika virus. You can keep mosquitoes at bay somewhat with the use of mosquito repellants, but these are laden with chemicals. These products enable you to use your outdoor space for gatherings or parties, or camp without worrying so much about the insects. However, some of their chemicals are dangerous to the environment. Here are some helpful home remedies that can keep mosquitoes away and also cause no harm to the environment. Try out these Eco-friendly home remedies for mosquitoes! The mosquito eggs in the water will come to the surface when you sprinkle coffee grounds into it. As they reach the surface, the eggs become oxygen-deprived. This kills them before they can hatch, and prevents the successful breeding of mosquitoes. When you breathe in oxygen, you exhale carbon dioxide. Did you know that this attracts mosquitoes? Dry ice also emits carbon dioxide. 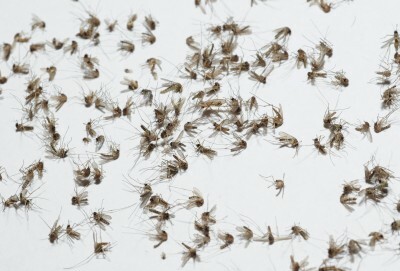 This means that you can attract mosquitoes by placing dry ice in a container away from your yard or camping area. Then you find all the mosquitoes in the container, just close that lid. This method is somewhat time-consuming, but it’s worth it, to drive mosquitoes away from your home. Extract from garlic is a mosquito larvicide. Crush several garlic cloves and boil the contents in water. Pour this DIY mosquito repellent into a spray bottle. Spray it around the area you want cleared of mosquitoes. It will help to kill them. You can eat some garlic every day to help you in avoiding bites from mosquitoes. You can even rub a clove of garlic on your skin to repel the little buggers. Camphor helps you to repel mosquitoes in a way that is friendly for the environment. Close the windows and doors in a room you want to target. Light camphor and allow it to sit in a safe pan or tray for about 30 minutes. Close the main door. When you return to the room after a half hour to 45 minutes later, you won’t find any mosquitoes. Neem oil and camphor oil make a natural and effective repellent for mosquitoes. Fill an empty refill bottle with one cup of Neem oil and three or four camphor balls. Fix the bottle to the sprayer. This natural device repels mosquitoes. Spray a bit of this mixture on a towel and hang it over your bed. This repels mosquitoes from your room. Rather than buying mosquito traps made with chemicals, you can make one at home. To prepare your homemade trap, find a plastic bottle and cut it in half. Place brown sugar in some hot water. Mix until combined. When the mixture cools down, empty it into the bottom half of the bottle. Then add some yeast. Use the funnel part you cut off the bottle and put it into the bottom of the bottle, upside down. Wrap black tape around the bottle, leaving the top uncovered. Place the bottle in the area that is prone to mosquitoes. Change the solution in the bottle every two weeks or so, to keep it working effectively. This home remedy for mosquitoes uses yeast/sugar fermentation. It’s very convenient because the materials are readily available. Also called Corymbia citriodora, lemon eucalyptus trees are grown widely in Australia. The oil from these leaves is an excellent repellent for mosquitoes. 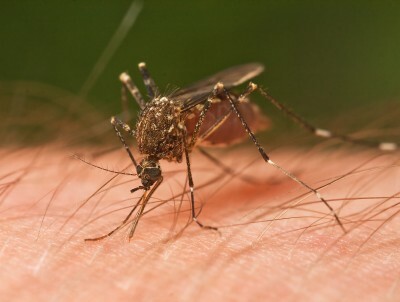 Apply the oil to your skin to protect your body from nasty mosquito bites. Indian lilac oil repels mosquitoes, making it a natural pesticide. Mix coconut oil and Indian lilac oil in even amounts and apply it to your body. The mixture has a strong smell that will repel mosquitoes for eight hours or longer. This is the best essential oil for repelling mosquitoes. Apply citronella oil on your skin. You may inject several drops into a candle and burn it, too. Alternately, you may put citronella oil into a spray bottle, then spray areas prone to mosquitoes. The leaves of this plant will kill larvae of mosquitoes, so it prevents them from becoming live insects. Plant holy basil plants near the doors into your home and in your garden, to repel mosquitoes naturally. You may also wish to spray concentrated basil oil for repelling mosquitoes. Lavender oil fragrance can repel mosquitoes just as effectively as chemicals can. The strong smell is not tolerated by mosquitoes. Spray lavender oil in any room you want to clear. You can also apply it to your skin areas that are exposed. Lavender scented room fresheners may help, too. If you prefer, you can grow lavender plants around your garden and house, to repel mosquitoes. Min has a strong odor, and while people love it, mosquitoes hate it. You may decide to take the mint oil out of mint extracts or just use mint extract as it comes to help you in keeping mosquitoes away from your home or outside area, or even yourself. The oil can be sprayed using a spray bottle indoors or outdoors, and you can apply the oil to any skin that is exposed. You can even grow mint in your garden, for further repellent properties. This is among the most effective of essential oils when you want to repel mosquitoes. The anti-fungal and anti-bacterial properties work well when it comes to keeping mosquitoes away. Tea tree oil has a strong scent that keeps the pesky bugs away. Just mix several drops of tea tree oil with the same amount of water. Apply this to your face and to other exposed body parts to remain mosquito-free. Collect some pinion wood and burn it outside your house. It has a pungent, strong odor that is released by the woods. It kills nearby mosquitoes and repels them from your home. The mulch from red cedar trees can beautify your yard or garden, and keep mosquitoes away, too. The wood is also called Juniperus virginiana. It has a distinctive smell that repels insects. Boil the chips in hot water. Then put the water and chips into a garden sprayer and spray it in your garden. This keeps mosquitoes away from your yard and home. Rosemary has natural properties as an insect repellent. Burn several stalks on a safe plate or pan on a picnic table. The aroma that the burning stalks gives off will drive away mosquitoes from your garden. Even though peppermint has a minty, fresh aroma, it has natural insecticidal properties. It can be used in a spray, and will repel mosquitoes. Studies have proven that many essential oils are effective in repelling mosquitoes, and peppermint is among the best. Note: Peppermint oil sometimes irritates skin. Be careful when you’re spraying it. Cultivate plants in your yard or garden that will repel mosquitoes. Feverfew and catnip planted in flower beds work well to repel these insects. Vetiver is also called Chrysopogon zizanioides, and it is an Indian bunchgrass. Its oil has an aroma that is soothing to people but repellent to insects. Spray several drops of vetiver oil to help in getting rid of mosquitoes. This vegetable oil has shown in field studies the ability to repel mosquitoes, much as coconut oil does. Mosquitoes are naturally attracted to light. Lights that repel mosquitoes, like LED lights, yellow insect lights or sodium lamps placed outside will keep bugs out of your house. When you see and hear mosquitoes flying in the area where you are, simply kill them with a fly swatter as you see them. This efficiently eliminates mosquitoes in your area. Keep your house windows and doors closed during the warm months, to prevent mosquitoes from entering. Make sure all your windows and doors have wire mesh or screening on them, to prevent insects from getting into your house. When you go to bed at the end of the day, hang a mosquito net around your bed. When using creams or oils to repel these insects, they only work for several hours, before their effectiveness diminishes. If you hang mosquito netting when you sleep, it will keep the bugs from bugging you. Don’t allow standing water to accumulate anywhere close to your house. Mosquitoes love to multiply and breed in stagnant water.